Historically, the College — like its peer institutions — has had a gender divide in its alumni giving, according to executive director of the Dartmouth College Fund Sylvia Racca. However, a goal in “The Call to Lead,” the College’s capital campaign announced on Apr. 27, hopes to address this issue. One of the stated goals of the campaign is to encourage 100 donations of $1 million or more each from alumnae and encourage donations of any amount to help rebuild Dartmouth Hall — a project that will cost $25 million. Furthermore, the College hopes to expand membership of the Centennial Circle — an alumnae group of women who have donated at least $100,000 to financial aid — from its current 188 members to 250 members by 2019, the College’s 250th anniversary. The Centennial Circle was introduced in 2014 due to the grassroots efforts of alumnae who worked in conjunction with the College, according to director of the Centennial Circle Mindi Laine. Before the founding of the Circle, men gave 4.7 times more money than women. Since 2014, the gap has started to close; men now give only 2.5 times more money than women, Laine said. “We have a lot of work to do, but we’re seeing that women are giving at all levels, not just $100,000,” Laine said. Previous fundraising tactics created competition between class years, which was successful for targeting men associated with the College, but women were not receptive to it, Laine said. The focus of the current initiative is to have women reach across class years and encourage each other to give to the College, Laine said. Like the Centennial Circle, the emphasis on alumnae giving in the campaign came from alumnae of the College. According to vice president for communications at the College Justin Anderson, 53 alumnae and widows of Dartmouth alumni have committed to donations of $1 million or more to the College so far. In comparison, four women donated at least $1 million during Dartmouth’s previous capital campaign, which ended in 2010, Anderson said. The College will encourage women to donate by word of mouth, Racca said. According to Racca, there will be some direct marketing, but the campaign has not figured out in which form this direct marketing will proceed in. 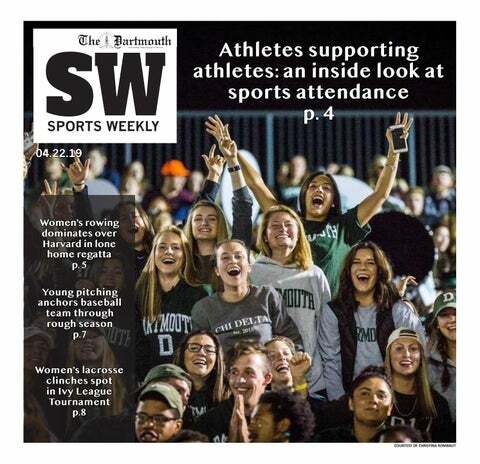 The Dartmouth Hall renovation initiatives will encourage alumnae groups — like groups of friends or sports teams — to donate as a group, Hribar said. There will be ways to name specific classrooms and parts of the building after communities alumnae find important.